Stuart Trotter is a British children’s book illustrator and the author of ‘Rupert Bear’ since 2008. He has drawn ‘Winnie the Pooh’, ‘Postman Pat’, ‘Kipper’, ‘Thomas the Tank Engine’ and many other characters for publishers like Hodder, Treehouse, Simon and Schuster, Walker, Boxer Books and Penguin. He runs his own publishing company, Rockpool Children’s Books. 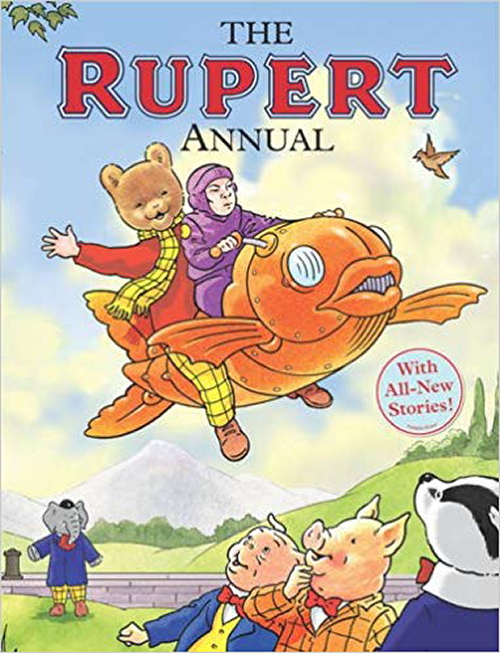 He succeeded John Harrold as the artist of the ‘Rupert Bear’ stories for the Daily Express and the Rupert Annuals in 2008, and has since introduced new characters such as ‘Clara the Cat’.